Put oats and cashewnuts in a grinder jar and grind into a coarse powder. Add raisins and grind again. Transfer the mixture into a bowl. Add maple syrup and chocolate chips and mix well. Keep in the refrigerator for some time. Spread cocoa powder on a plate. Divide the oats-cashewnuts mixture into equal portions and shape them into small balls. 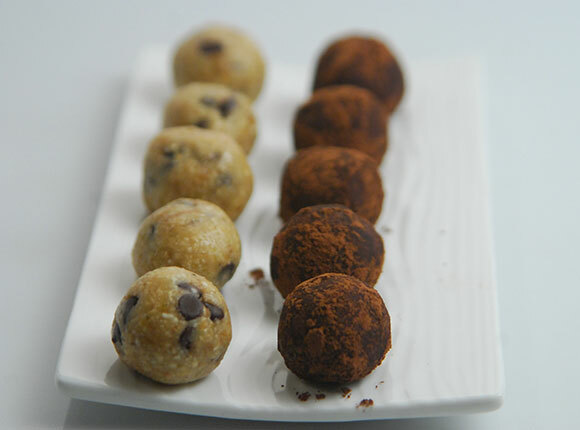 Coat some of the balls in cocoa powder and let some of the balls remain as they are.